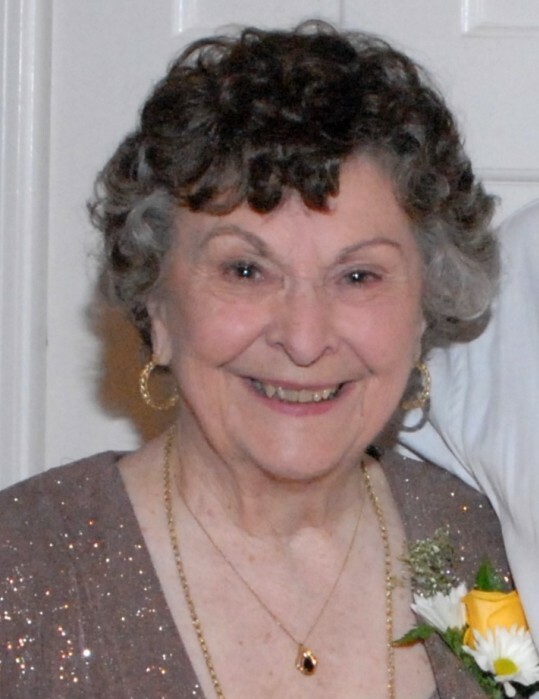 Bettejane Karnes of Storrs, CT died on Saturday, January 12, 2019. Born on May 7, 1926 in Bridgeport to Karl Harry and Charlotte Blake Larson. She was a graduate of The University of Connecticut where she received her Bachelor of Science in English and later a Master of Arts in Guidance. While in college, she met her first husband, Victor Veikko Lehtinen, a recent World War II army veteran originally from Delaware. Victor and Bettejane had four sons and ran the family poultry farm in Killingly until Victor’s passing in 1961. In late 1963 in Storrs she met a professor of Education, John Wesley Karnes, Jr., a Navy veteran from Texas. They married and had one son, Nathan Bryant. She and John raised the five boys in Storrs. In later years they provided new childhood memories to grandchildren and great grandchildren. “Through good times and bad times, but always with a true love for each other that sustained us.” John retired in 1977 as Associate Dean of Education and many years of travel followed in retirement, including Spain, Panama, Germany, Alaska, Hawaii and Mexico. Bettejane’s career ended early, but she was extremely civic minded active in countless organizations. While she said “Never one to bow to custom, I insist that accomplishments of the past not be glorified…”; nevertheless, from her loving family: a member of the Storrs Congregational Church for 51 years, the Women’s Club of Storrs, the Mansfield League of Women Voters (President and state Environmental Quality Chair), and the Mansfield Recycling Committee. Mom was an influential founding board member of the Connecticut Museum of Natural History at UConn. Her longest and most prominent affiliation was in Church Women United where, as Connecticut state President, she broke a gender barrier to serve on the board of the Christian Conference of Connecticut, an all-male body comprised of the heads of the major Christian churches. Not only an active member and donor to the Mansfield Senior Center, and the Commission on Aging, in recent years Bettejane chaired an ad hoc committee on future facilities needs for the Center. To all this, Mom said “It was needed, I was there.” After being widowed by John in 2006, she continued their commitment to the UConn Alumni Association, the Naeg School of Education and the Storrs Congregational Church. Bettejane loved gardening, entertaining, and was an accomplished quilter. Bettejane is survived by her sons Victor Karl Lehtinen, Sr. of Killingly and his dear longtime friend Linda Lannon of Thompson, Christopher Blake Lehtinen of California, and Nathan Bryant Karnes and his wife Toni of Windsor. She was predeceased by her husbands Victor Veikko Lehtinen and John Wesley Karnes, Jr.; sons Eric Oliver Lehtinen in 1980 and Gregory William Lehtinen in 2001. She also leaves behind grandchildren Jennifer and Victor Lehtinen, Jr. and Loretta Brown and four great grandchildren Chelsea, Brandon and Emilee Lehtinen, and through Nathan’s marriage, Jayla Bosley. A Memorial Service will be held on Friday, February 8 at 1:00 PM at the Storrs Congregational Church, 2 North Eagleville Road, Mansfield. In lieu of flowers, the family invites friends and loved ones to support either of two organizations that Bettejane assisted, the Windham Theater Guild or the Windham Area Interfaith Ministry.